When devotional singer, Anup Jalota and her 28 years old girlfriend Jasleen are entering as couple shocked the audience, an aspiring singer Urvashi Vani story of running away from the house to meet Deepak Thakur stunned the audience. India’s most controversial show Bigg Boss 12 has begun to premiere on Colors channel. This time the show is featuring contestants in Jodi format. Urvashi and Deepak first met on facebook. First they became friends and then realized both love each other. Urvashi also ran away from her home just to meet her. It would be exciting to watch this singer and fan Jodi in the show. Let us know more about her family and personal details below. Urvashi Vani belongs to a small village of Samastipur. His father Pankaj Tiwari is the supervisor in the Rameshwar Jute Mill. Right from the childhood, she is very smart and clever and finds interest in music. Bigg Boss 12 contestant Urvashi did her schooling from Muktapura. Urvashi then moved to Patna for further studies. She did her graduation from Patna University. The diva aspires to become a singer. She is also learning music. Urvashi is a huge fan of Shahrukh Khan. Urvashi also dedicated a two-minute song to Shahrukh’s family. Surprisingly the actor also thanked her for the tribute. Also read about, Shivashish Mishra, Srishty Rode, Roshmi Banik, Kriti Verma, Romil Chaudhary, Neha Pendse. She entered Bigg Boss house with her rumored boyfriend and a young singer Deepak Thakur. While Deepak is a celebrity, she is a commoner. 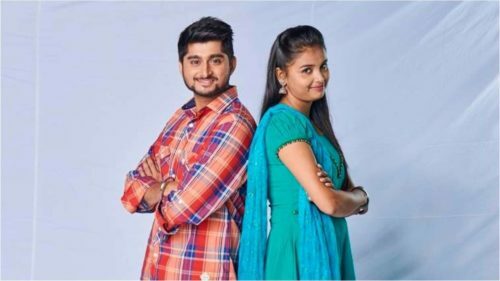 This time the season has invited contestants in Jodi format. And this singer and fan Jodi is unique in own way. She ran away from the house to meet Deepak Thakur. Urvashi family is quite happy that she got the opportunity to join this biggest show and wanted her to win the title. The girl will compete against famous tv celebs including Karanveer Bohra, telly bahu Dipika Kakar and commoners like Nirmal Singh, Saba Khan and more in the show. Let us wait and watch how long did the girl from a small village Samastipur survive in Bigg Boss 12.